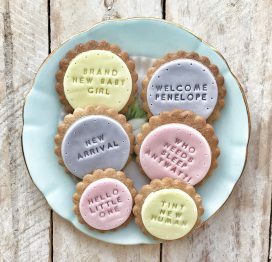 Two layers of lovely biscuits to welcome a new arrival into the world. 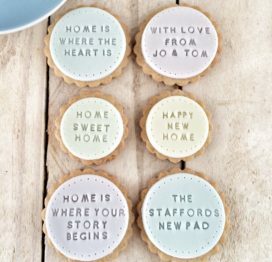 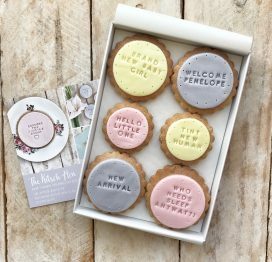 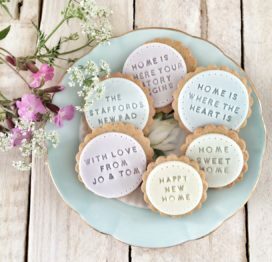 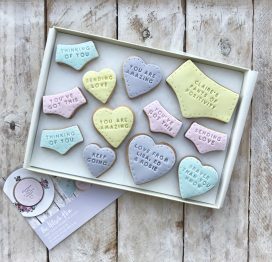 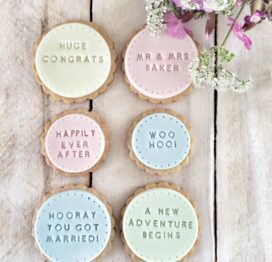 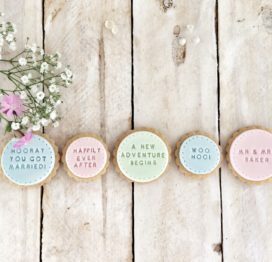 Each biscuit is hand stamped with a special message and the set includes a personalised biscuit stamped with the new baby’s name. 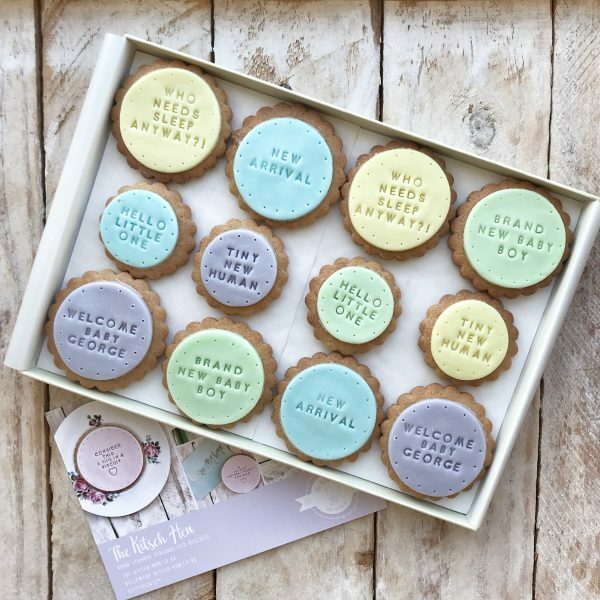 Please add this detail in the personalisation box. 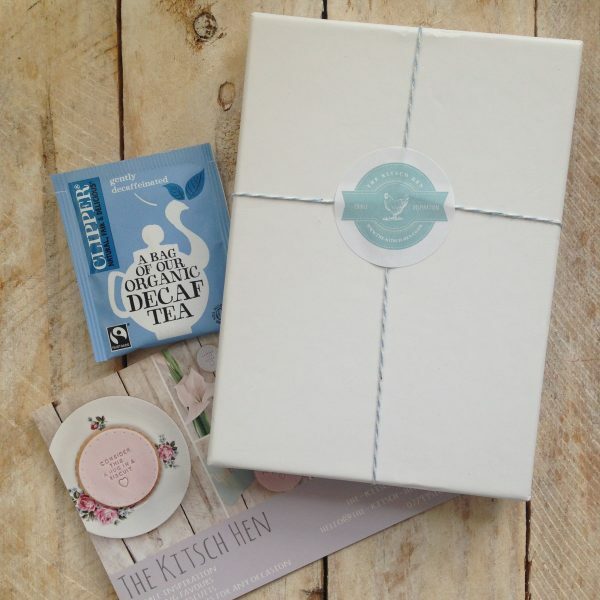 You can include a personal, handwritten message of up to 170 characters – please let us know what you would like us to write in the gift note box.